Em January 24, 2012 3 Comments MAC. 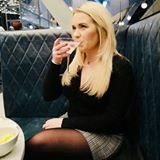 I love browsing peoples blog sales at the moment, you can find some amazing things for great prices!! 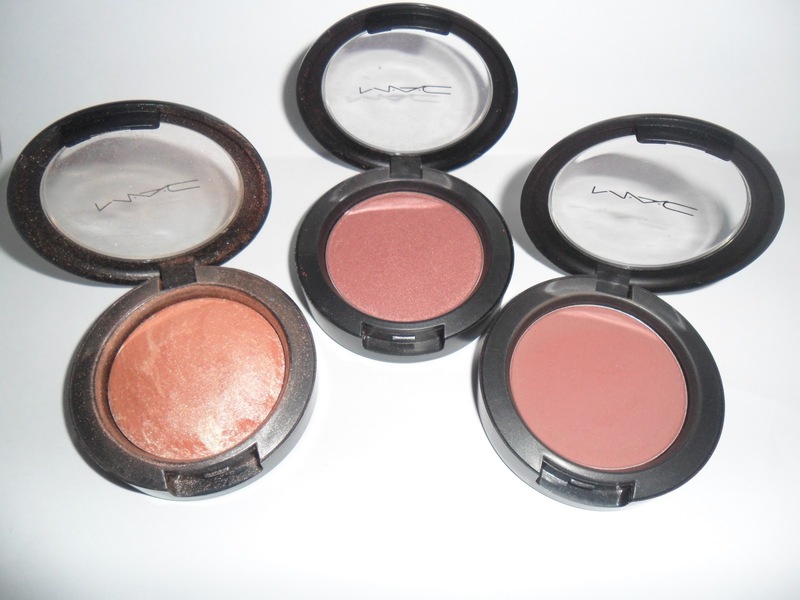 I bought a few bits and peices from Stacey's blog sale including the Sleek Storm palette, then after looking through her sale again I wanted more, Stacey had 3 MAC blushers in different shades and finishes so I wanted all 3 to test out. From Left to Right we have: Improvise - Mineralize Blush, Plum Foolery - Sheertone Shimmer Blush and Notable - Satin Powder Blush. I was so excited when my package came this morning, I opened it up and couldn't decide which I liked best from just looking at them I thought Improvise would be the winner, here is what they looked like on the back of my hand. 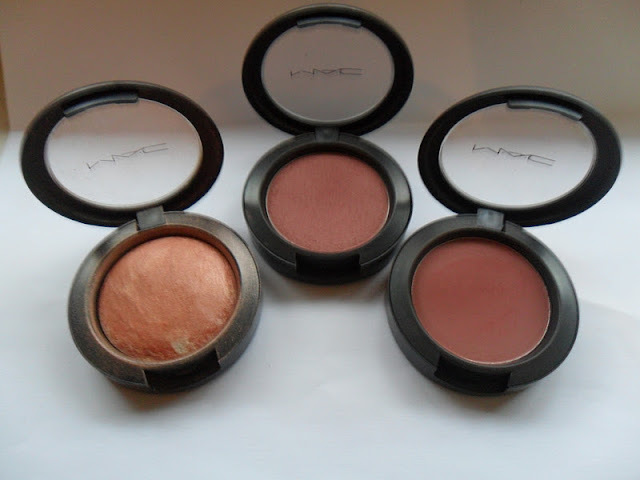 Improvise - Mineralized Blush RRP £19.00 Discontinued. 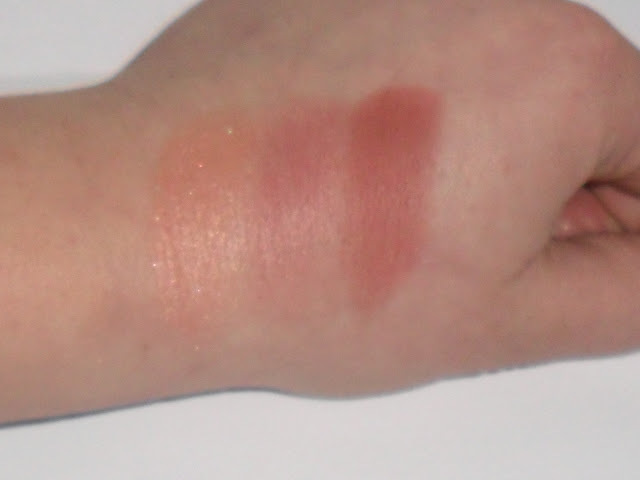 This blush is very shimmery and sheer it reflects the light beautifully, I would use this as a highlighter more than a blush and after a quick look on google people have recommended using it as a highlighter on the brow bone too! You could build it up for a deeper colour but for me this is too light. 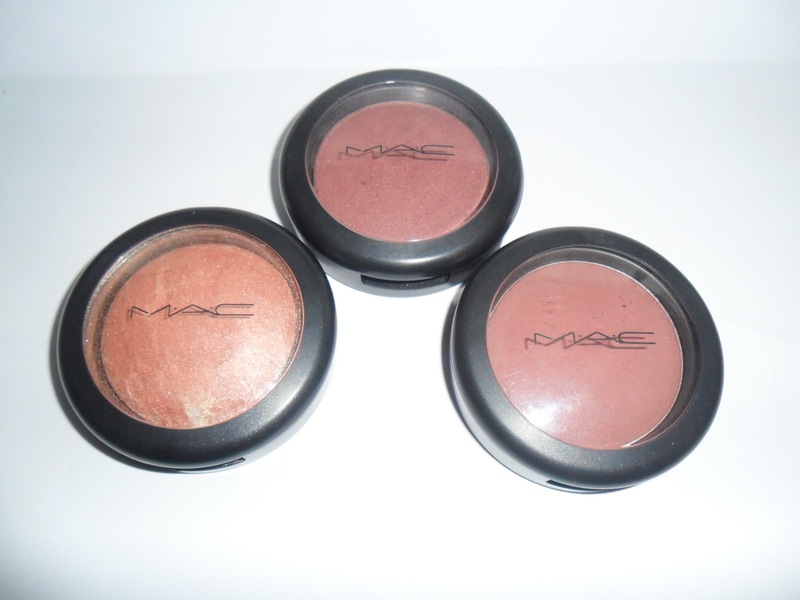 Plum Foolery - Sheertone Shimmer Blush - RRP £17.50 Still available. The name of this blush confuses me, you would think it would be really dark but it's not at all, it is a matte base colour with hints of glitter running through it, I like this shade and from the name and looking at pictures on the MAC website I probably wouldn't have picked it, this for me, would be perfect for a night out. Notable - Satin Powder Blush RRP £17.50 Discontinued - I am heartbroken this isn't available anymore, soon as I put it on I I fell in love, this matte/satin shade looks gorgeous, and as it's quite a deep colour so you only need a small amount for each use, I may have to hunt some more of this down this is definitively my absolute fave out of the three and I am so glad I bought it! 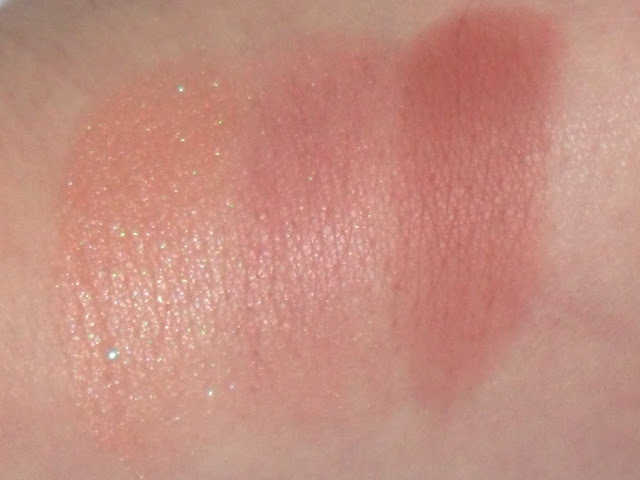 What blush do you use?